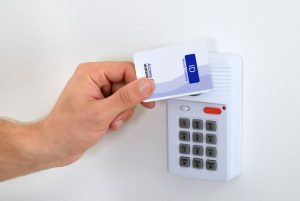 Near Field Communication (NFC) has become a common feature within both enterprises and the general public alike with its fast ‘tap-and-go’ use. So what exactly is NFC? Simply put, Near Field Communication allows data to be exchanged wirelessly (without the use of internet) through electronic devices by either touching the devices together or bringing the devices within close proximity of each other (usually a distance of 10cm or less). 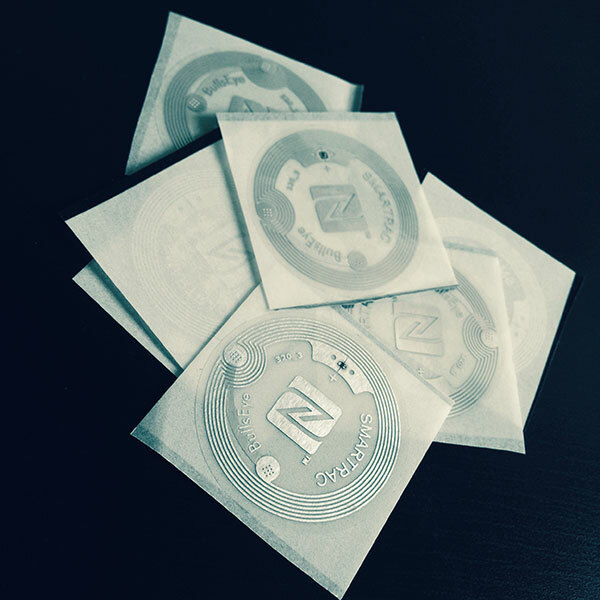 NFC technology is easy, secure and works automatically. What makes NFC-enabled devices unique is that they support three modes of operation: reader/writer, peer-to-peer, and card emulation. In Reader/Writer mode, devices are capable of reading NFC tags, such as those embedded into an NFC poster or NFC sticker. NFC tags hold a small amount of data such as a web link, text or command in which an NFC device can read. In Peer-to-Peer mode, devices are not only able to collect information from NFC tags but are also able to exchange (and in some cases alter) information with other compatible NFC-enabled devices. Devices can exchange data such as virtual business cards or digital photos. In Card Emulation mode, devices enable contactless payments and ticketing by NFC devices without changing the existing infrastructure. This allows users to perform actions from purchasing items to storing credit card and bank information all on their devices. Where is NFC Being Used? Near Field Communication technology is growing in use each day through NFC-enabled devices such as smartphones, tablets, laptops and even gaming consoles. Here are some specific examples below of NFC technology in everyday use by both businesses and the general public alike. All NFC-enabled smartphones can be provided with dedicated apps that will allow them to transfer data without the use of the internet. Wireless payment apps are becoming popular amongst the general public as a quick and easy to use mobile payment solution. 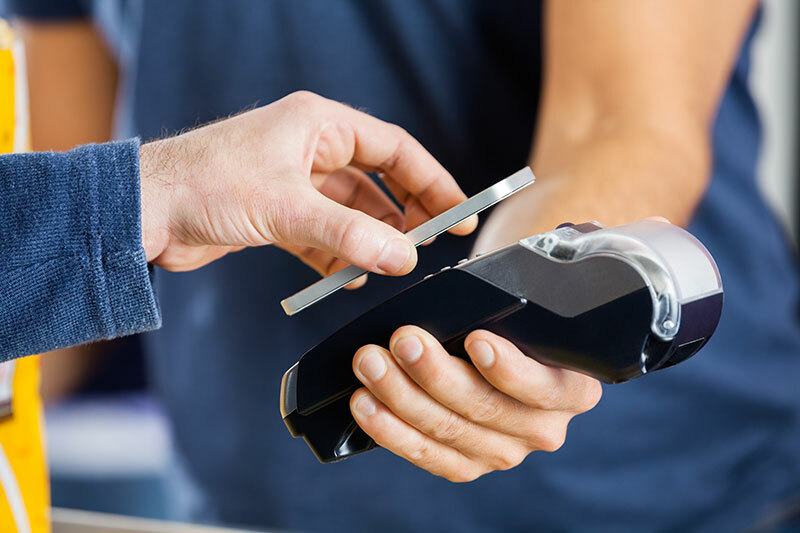 Apple Pay and Google Wallet are examples of wireless payment apps that are an alternative to using physical money and credit cards through purchasing items. The technical requirement here is NFC, which is used to communicate with a mobile device and a shop’s terminal to make NFC payments. NFC technology is not just for adults as companies are jumping on board to bring children’s’ favourite characters to life through the use of video games and action figures. Nintendo presents a unique NFC solution to market to children through their newest line of action figures titled “amiibo” (which will launch on November 21st). These amiibos will allow children to interact with various Nintendo games through their Wii U console (and in the future, Nintendo 3DS consoles). By simply tapping the figurine’s base (which contains an NFC chip) to the Wii U Gamepad (which contains an NFC reader), the character will be recognized right away in the system. From there, children can personalize their characters through choosing unique names and costumes on their screens. NFC technology is fantastic for mobile marketing use; however businesses can take advantage of also utilizing NFC advertising through their print ads in the form of NFC posters and NFC stickers. Take your print marketing campaign to the next level by creating an interactive and engaging ad that simply allows consumers to ‘tap’ your NFC ad to receive interactive content, download vouchers and promotions or engage with your brand through social media. At the heart of each poster or sticker is an NFC tag that holds a small amount of data such as a web link, text or command. When an NFC-enabled smartphone is placed in close proximity, it powers the NFC tag and reads the information stored on it. What Does The Future Look Like for NFC? Near Field Communication companies are rapidly growing as the list of compatible devices continues to expand. It’s safe to say that if you’ve purchased a smartphone or a tablet in the last year or two, it should be already equipped with NFC technology. Looking forward to the future, companies are looking to expand their NFC services by equipping smartwatches and fitness trackers with NFC chips. Apple specifically will be including NFC support in its Apple Watch so that users can pay using Apple Pay with a simple tap of the wrist. Sony will also implement a similar feature through their Sony Smartwatch 3, plus a few other fun features which include tapping a phone to the watch to power it on. NFC experts are confident in the positive growth and expansion of NFC technology for the future as it becomes incorporated into everyday use by enterprises and the general public alike. TTAG Systems is one of the leading Canadian NFC technology companies designing and delivering state-of-the-art customized NFC wireless technology solutions and software across North America. Contact us today to discuss your next NFC technology project.